Asean, which Thailand will chair next year, must take tough measures to put pressure on Myanmar and its de facto leader, Aung San Suu Kyi, to end atrocities against the Muslim Rohingya, Malaysian Prime Minister Mahathir Mohamad said this weekend. Even with sketchy financial information, research academics agree that China’s island building in the Spratly archipelago is a multi-billion-dollar undertaking. It has been just five years since China initiated its major land reclamation in the South China Sea, and the country has already shifted the territorial status quo in its favour – without facing any international pushback. Southeast Asia’s leading eCommerce firm Lazada continues its record-breaking streak, drawing a whopping 1.3 billion visits to its platforms during its 11.11 and 12.12 shopping festivals. Thailand will play a leading role in implementing the smart-city network covering 26 cities in the 10 Asean countries as it takes over as the bloc’s chair next year, Digital Economy and Society Minister Pichet Durongkaveroj said last week. 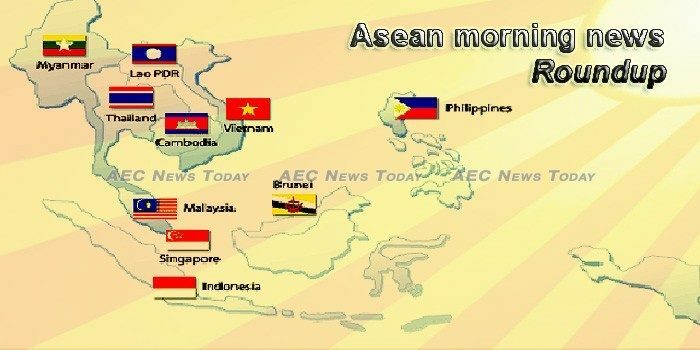 MEMBERS of the Association of Southeast Asian Nations (ASEAN) have outlined the next steps for the conservation of migratory birds that navigate along the East Asian-Australasian Flyway (EAAF). As business decision makers step into Industry 4.0, questions around the uncertainty of the future; talent and staffing; and the impact of automation, AI and other technologies have remained unanswered – till now. n line with the South Korean government’s push to strengthen diplomatic and economic ties with Southeast Asia, Korean entrepreneurs are increasingly seeking new opportunities in the region to benefit from its fast-growing economies, which have a combined population of 630 million and a combined gross domestic product of $2.4 trillion. PlayGame and The Walt Disney Company Southeast Asia today announced a one-year collaboration to bring a collection of game titles to fans across Southeast Asia. Prime Minister Hun Sen on Saturday reminded people that he had rejected a proposed Titanium mining investment worth about $20 billion in Koh Kong province because the project would devastate a huge swathe of forests and endanger wildlife. A Cambodian woman says she sold her daughter’s virginity for $1,000 because they needed the money. Dressed in a school uniform with a backpack on her shoulders, the girl confirms her mother’s account. Around $150 millions’ worth of oil was stolen from Shell’s biggest global refinery over several years, Singapore court documents reviewed by Reuters show, far more than reported when police first revealed the heist earlier this year.